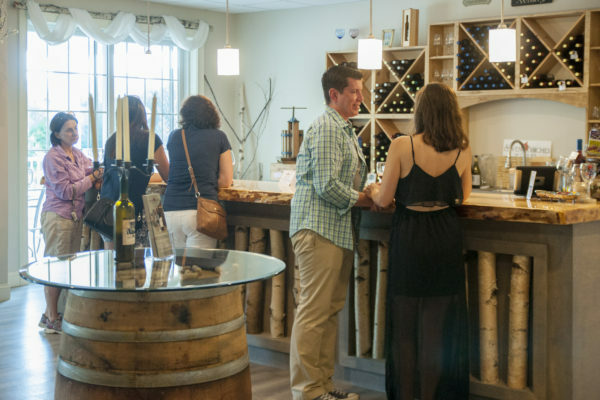 Join our friendly and knowledgeable hosts at Seven Birches Winery this spring for a 4-part wine education series. We are taking a relaxed approach to wine knowledge, leaving the snobbery behind, and keeping it casual. 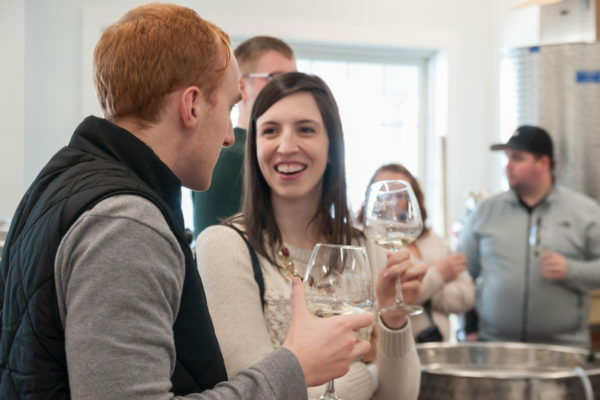 Come for any number of the sessions to learn more on tasting wine, pairing wine with food, making wine, and taking your wine experience to a higher level. See. Swirl. Smell. Sip. Sense. Savor. Whether you are a seasoned sommelier or a novice wine drinker, we’ll keep this fun and interactive lesson about tasting wine relaxed and informative. We’ll go through a flight of wines, discussing the characteristics of each, all the while discussing what to look for and how to describe it. You’ll get the chance to do a blind tasting too, where you can describe what you sense, without knowing what it is. We’ll take out the snobbery and add in a bit of practicality to this experience that will have you looking forward to the next opportunity to express what you’ve learned. Why is it that some wines taste better when experienced with certain foods? This is the main question that we’ll be exploring this evening. For each of the wines in our tasting flight, we’ll pair them with a different food that goes well with that wine and explain why. We’ll have you take a sip and discuss the wine. Then, we’ll have you take a bite of a complementary food, followed by another sip to finish the pairing. The food (samples) and the wine (samples) are all included this evening, along with the practical knowledge you’ll take home. And, we help you find what you like, and that’s all that matters in the end. 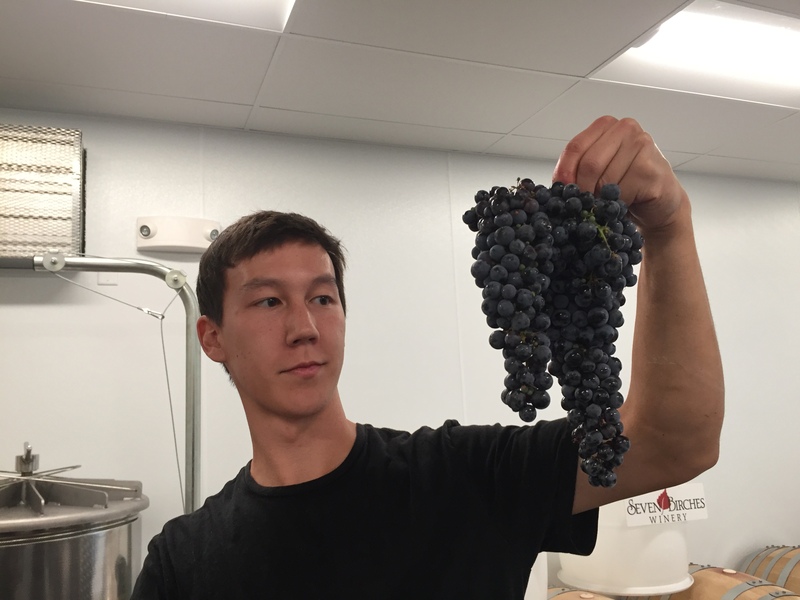 Is winemaking an art or a science? Well, both of course. Certainly we know that wine comes from fruit, mainly grapes, but how does it get from the vine to the bottle? This evening we’ll go right into the Seven Birches production room to have a good look and chat, about how the wines are made and aged. Where are the grapes from? Do you stomp them with your feet (of course, we do!)? What does barrel aging do? Can we try some wine now? We’ll have the opportunity to taste wine that is still in production, something that usually only the winemakers get to do. The wines sampled this evening will all be in various stages of development. Have you ever tasted wine from a tank or from an oak barrel? What can you say about these wines? This is a truly unique experience, for sure. The last of the 4 classes in the series will focus on other, typical questions that most people have about wine. And, when you get the answer, will change how you experience wine in the future (in a good way!). What are the different bottle and glass shapes all about? How long can a wine bottle stay open? What are wine faults? How can I detect them? Why do I get red wine headaches? How do I properly store my wine? This evening we’ll be answering all of those fine-tuning wine questions that you could just Google, but would rather ask of a wine host. You’ll get to hear the answers to everyone else’s questions and then think of more. We certainly don’t have all the answers, but in a group, we’ll get there… together. And, we’ll be sampling a flight of wines along the way. I have been wanting to do something exactly like this, but unfortunately my Thursday evenings are busy in May. Will you be doing this again? I assume each class builds on the previous one. The response to our first class was fantastic. After we have completed all 4, we’ll take a look and see if there is enough interest to continue. But, right now… it looks very promising! Thanks for posting.